This table contains data describing ATCEMS management of Trauma Alert patients. In this setting, “Trauma Alert” refers to injured patients who meet Physiological or Anatomical criteria for transport to a Trauma Center per City of Austin/Travis County EMS System Clinical Operating Guidelines. This table contains data describing ATCEMS management of STEMI Alert patients.  This table contains data related to Clinical Performance Indicators (CPIs) used by the City of Austin/Travis County EMS System Office of the Medical Director (OMD). More information on CPIs can be found at http://www.austintexas.gov/page/performance-improvement.